Plans could include allowing part of the money to support a public-private partnership to build a new Rosslyn Metro station or to construct a wider Long Bridge that carries trains over the Potomac. 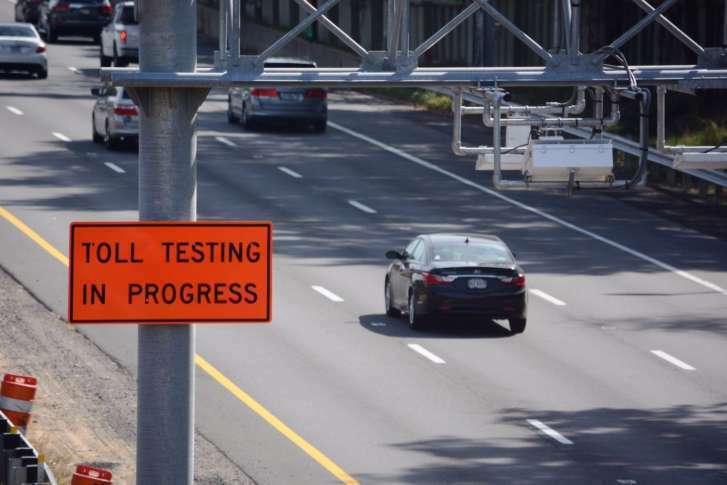 WASHINGTON — State leaders are proposing changes to the use of toll revenue from Interstate 66 inside the Capital Beltway. These potential plans could include allowing part of the money to support a public-private partnership to build a new Rosslyn Metro station or to construct a new, wider Long Bridge that carries CSX, Amtrak and Virginia Railway Express trains over the Potomac between Arlington and D.C. The Northern Virginia Transportation Commission is now scheduled to take up the proposal next month that would allow the toll money to cover debt service or other payments for the CSX bridge and/or improvements at the Rosslyn Metro station. The District Department of Transportation is the lead agency for the Long Bridge replacement and is scheduled to present a narrowed-down and amended list of alternatives for the project at a public meeting on Thursday. The bridge could be widened from two tracks to four and could also include a new walkway or bike path. Virginia’s toll revenue proposal would continue to fund the I-66 corridor transit programs meant to provide alternatives for solo drivers who want to avoid the rush-hour tolls. Under the new amendment to the 40-year toll-revenue agreement, that revenue dedicated to the alternatives would be allowed to pay for operating costs rather than just capital costs, such as the purchase of new buses. One of those new routes, the Fairfax Connector 699 express between the Fairfax County Government Center and Foggy Bottom, saw 98 riders last Thursday, an average of about 8 riders per trip. Fairfax Connector charges $4.25 for the route, and county transportation Director Tom Besiadny expects ridership to grow to at least 25 riders per trip in coming months since the route only began last Monday. “One week is really not enough to make any formal conclusions … it will take some time for commuters to try out what their options are and settle on an option that works best for them,” Besiadny said. Under the revised toll-revenue agreement, Virginia would promise a minimum of $10 million per year for the transit options, increasing by 2.5 percent each year to account for inflation. After that revenue and the costs of operating the tolls, the next projects in line for funding would become the costs and debt service of the new Potomac crossing or a new Metro station or platform in Rosslyn. By including those two projects in the agreement, the projects could qualify for better bond ratings than if the money were to be allocated later. Any toll money beyond the toll operations costs, transit options and new bridge or station, would cover debt service for any of the transit options, and repaying money borrowed upfront to launch the transit as tolls began. Any money still remaining would fund additional transportation choices. The final language of the agreement has not been finalized, but is expected to be approved in January.